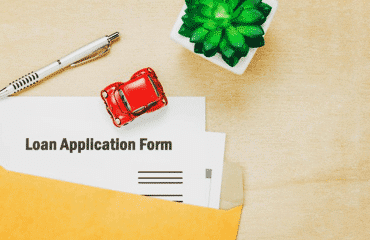 An individual might need to buy a car but would need to apply for a loan and thus, sample car loan application letter can serve as a guide in making things simple to understand. However, it is important to keep in mind that a good credit history is important when applying for a car loan. 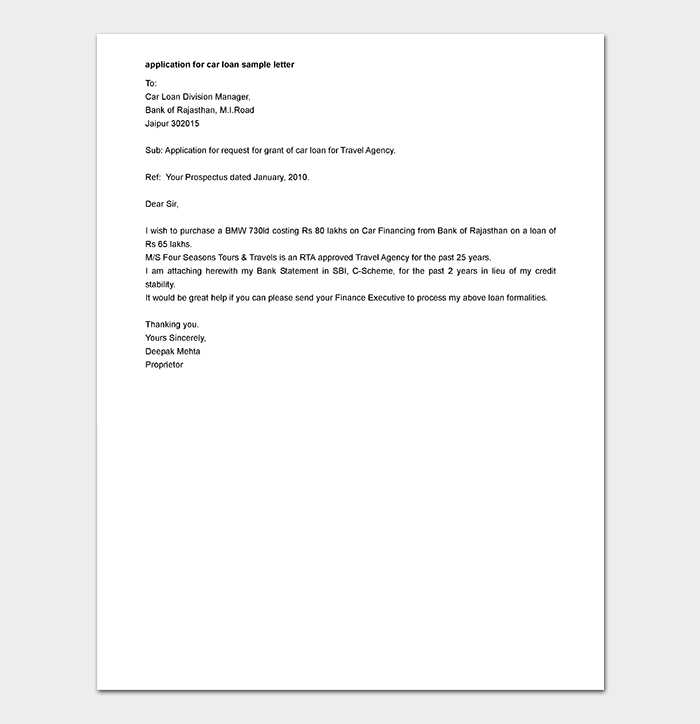 Here is letter format and samples to help you. What questions to ask when getting a car loan? 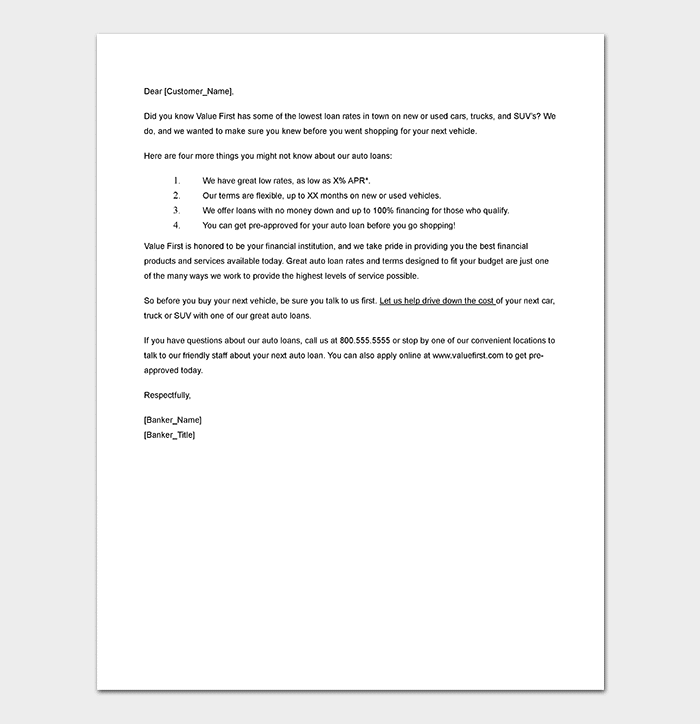 I have recently come across the loan plan on your company’s official website and I would like to apply for a loan. The loan plan offered by XYZ Company is quite competitive and I find it suitable as compared to many other car loan agencies. Out of many options, I find the basic loan plan as the most vital option. I am currently working as a Sales Manager for ABC Inc., my annual salary is $130,000, and I believe I will be able to pay back the loan in five years. Kindly refer to the salary slips of the past 12 months, bank statement of last six months, and my employment letter. These documents will help you in determining whether I am eligible for the loan. Kindly contact me for further information. 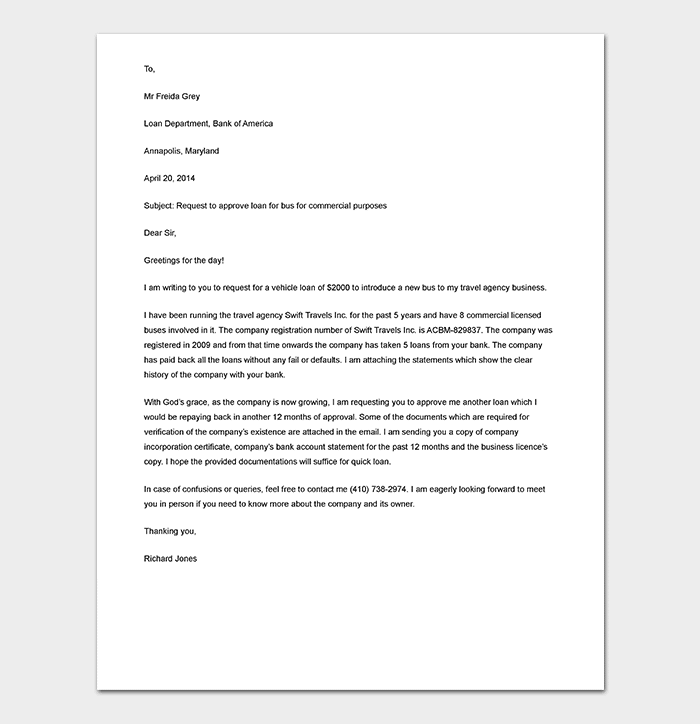 A car loan application letter template would give the user an idea on how to format the letter in a professional manner. When writing such letters, it is important to know and follow the correct format, which is why reading a sample can be of great help. 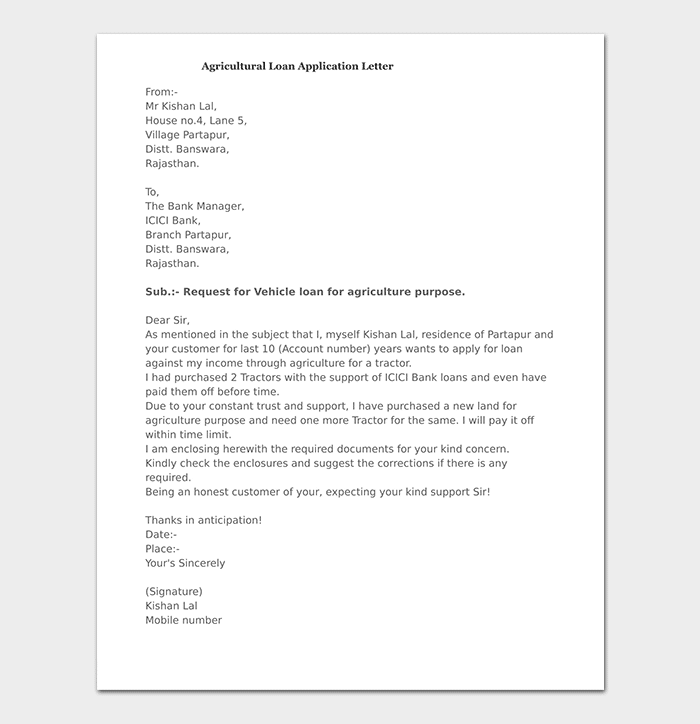 A car loan application letter sample letter can provide information on the content, which would be a part of this letter. 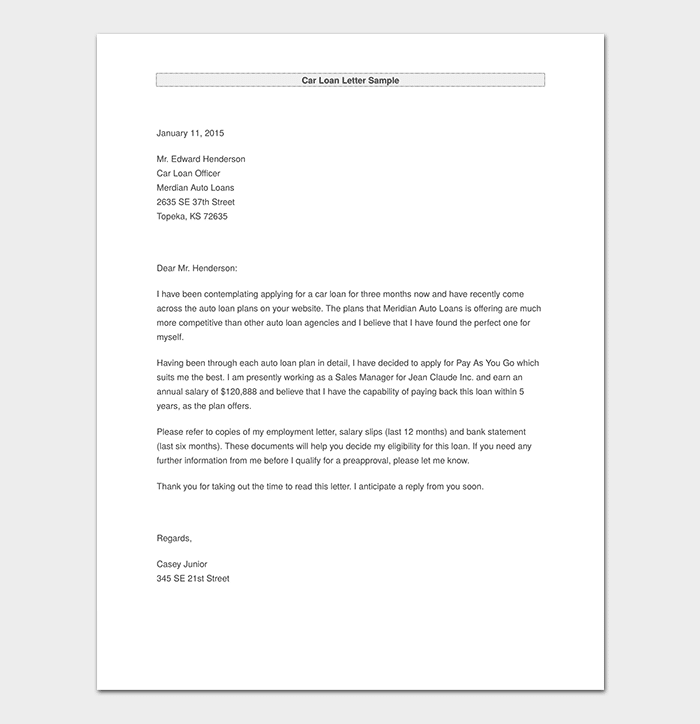 It is important to use the right content when writing the relevant letter. What is the difference between the personal loan and car loan? Some people would like to know the difference between the two as usually car loan can be solely for buying cars and personal loans can be for commercial purposes as well. There is a possibility of buying a car with a personal loan, which is why it is vital to find the difference between the two. Find the pros and cons and get as much information on this topic as possible. Where should I get the car loan? It is important to search for this question as there would be banks and different lenders providing the loans. Search thoroughly and find out what option is the best for getting the relevant loan. What are the requirements for applying for a car loan? It is important to find out the requirements when applying for a car loan. For example, the credit score should be in good shape and there are many other things, which are important to consider. What is the process of applying for a car loan? It is wise to search for the relevant process and find what documents are necessary and how time-consuming it would be. Is the lender going to check my credit score? The answer to this question is most likely to be yes; however, people with bad credit score might have some options. It is important to find out the relevant information. What amount I would be able to borrow? An individual applying for a loan is likely to have a certain borrower profile based on which he or she would be able to borrow the relevant amount of loan. When dealing with car loans it would be wise to be aware of all the terms, conditions, and be very clear of the interest rates, payment terms, what happens if you default, and so much more. Give maximum information before making a final decision.